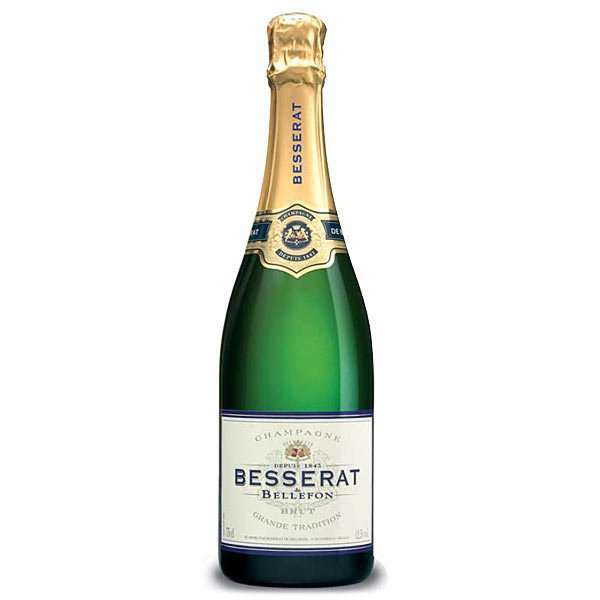 Besserat de Bellefon Grande Tradition Brut NV 75cl A bright yellow colour. A shimmering wine with an abundance of tiny bubbles. Fruity nose dominated by the presence of the Chardonnay grape. Full of finesse and elegance. Mirabelle plum notes and bush peach. The initial impact is fresh and structured. Perfect balance. The strength of the Pinot grape comes through on the palate, with red fruits and honey. The finish is long and powerful.